Brett completed his undergraduate and graduate studies in Exercise Sports Science and Exercise Physiology at Texas Tech University. While a student, Brett advanced his knowledge of the science involved in appropriately testing and training for physical fitness by working at the Texas Tech Exercise Sports Science Department as well as the Covenant Cardiac Rehabilitation Clinic. After completing his formal education, Brett worked under Dr. Terry Shepherd in Columbus, Ohio, learning advanced metabolic and VO2 Max testing as well as advanced sports performance training principles. This experience contributed to the development of HIT Center Austin. Brett is certified as an Exercise Physiologist through the American College of Sports Medicine (ACSM ES-C) and is also a Certified Strength and Conditioning Specialist (CSCS) of the National Strength and Conditioning Association. 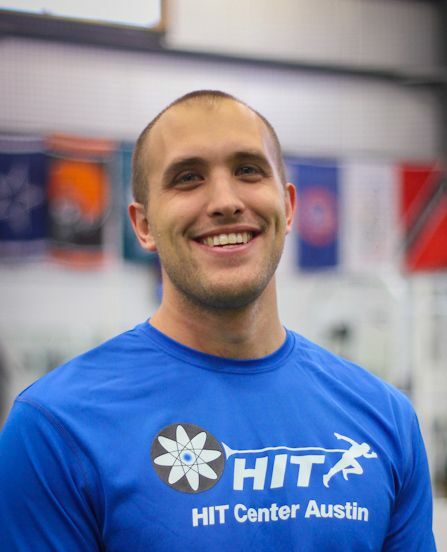 He designs and develops the programs for The HIT Center, which has assisted thousands of clients in the areas of weight loss, strength, athletic performance, injury prevention, and rehabilitation. He has coached athletes to Olympic gold and world records (London '12) in track-and-field, overseen athletes get selected in the NFL draft and Pro Bowl, and assisted in countless other athletes at all levels achieve their best performance.